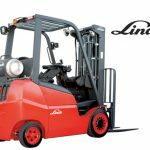 Linde’s cushion tire forklifts are designed with industry leading durability, and feature the exclusive hydrostatic drive that provides powerful performance with a low cost of ownership. The cushion tires are best suited for indoor applications but can also handle uneven floor conditions. 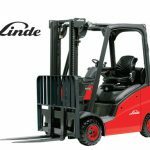 These trucks provide exceptional performance in loading dock applications, warehousing, and manufacturing. Models: Click on series name for complete information.